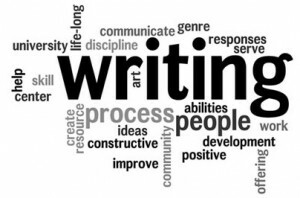 Formatting is the one of the essential part of the an assignment. Without proper formatting, your assignment paper may look dull and you could lose the chance of getting valuable marks. So, it is much needed for you to give ample time to formatting and if you are not sure of how to format your assignment, then learn it with our assignment help. What are the ideal fonts? Although times new roman is the standard font that gets used by the students in writing an assignment, but you can also use calibri or arial and should use it in writing the whole assignment. You should use 11 or 12 font size to write the main body of the assignment and should use black text on white background. You should write your assignment using MS Word and should use file formats such as .doc, .docx, .xls, .xlsx. Use of html, .ppt, .pdf or zip file is not ideal if not specified by the university. Next thing you need to do is to find out what type of spacing your university guidelines want in your assignment. Generally you should use 1.5 spacing and should only use double spacing if asked by the professor. With that, you should leave a blank line between every paragraph and if the questions look shorter, then you should give a black line between every question as well. If you find the questions are long, write every question on a new page. You should also not block-justify your assignment, although it might look good this way but sometimes there can be huge gap between words and your assignment could look messy. So, it is suggested you left-justify your assignment. Headings are something that play a crucial role in hinting what a particular paragraph is about. Thus, to impress the reader at the first glance, you should make sure to write short and appealing headings in your assignment. Moreover, you should write subheadings as well if there is a need to define something in the paragraph. Title and the number of your assignment. Your course number and name. Assignment submission or due date. And your full name and student number. You should write all this information from the center of the page and it should start around one third of the way down the page. Write your name, (last name first and then first name). Give your course number as well. In addition, you should not forget to number every page of the assignment excepting the title page and items in the reference list. You should also give numbers and label the tables and should write captions above the table and write captions for the figures below it. 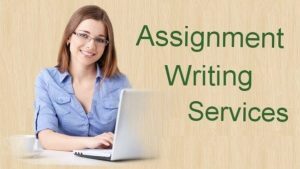 If you have some difficulty in formatting your assignment, then you can opt for our assignment help online and get a well-formatted assignment from us. You are not sure How to Make your Assignment Look Presentable, then learn it with our assignment help and get a well-formatted assignment from us.